DescriptionIndividually clear wrapped Tutti Fruity flavoured rock sweets. 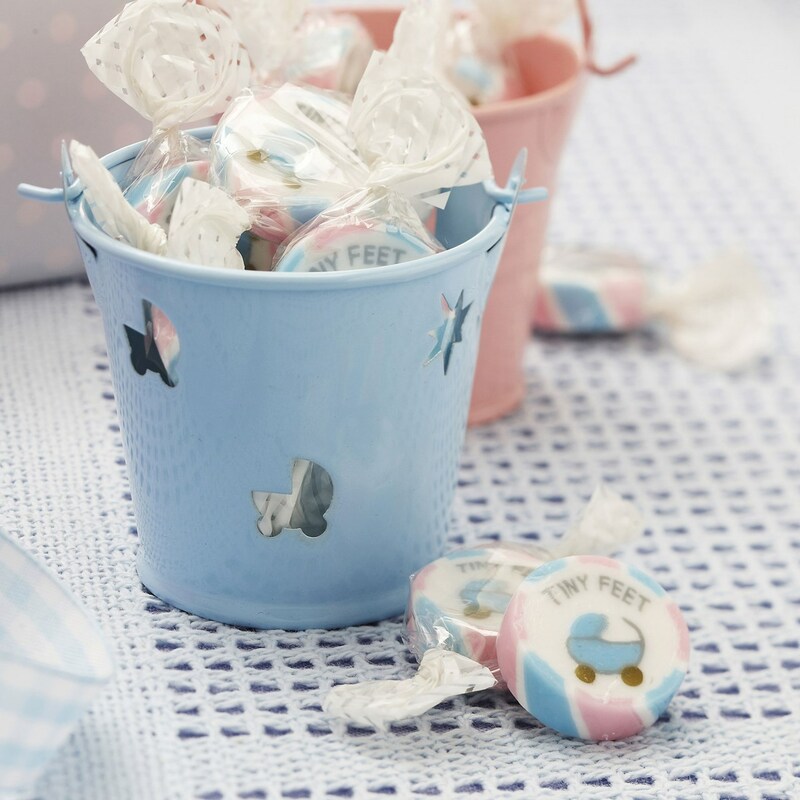 Each sweet has tiny feet with a picture of a pram printed through it. These will last for up to 18 months and are 23mm in diameter. Suitable for vegetarians 215g. Each pack contains approx 50 Rock Sweets. Individually clear wrapped Tutti Fruity flavoured rock sweets. Each sweet has tiny feet with a picture of a pram printed through it. These will last for up to 18 months and are 23mm in diameter. Suitable for vegetarians 215g. Each pack contains approx 50 Rock Sweets.